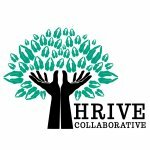 THRIVE COLLABORATIVE HITS THE FRONT PAGE! Our very own Thrive Collaborative, created by Lee Pryke, has hit the front page of Google! Thrive Collaborative, created and managed by Lee Pryke, has hit the front page of Google! Go ahead - google Thrive Collaborative! A big congratulations to this Klusster - an amazing group of like-minded health and wellness professionals who understand the power of together. "Our mission is not merely to survive, but to thrive; and to do so with passion, compassion, humor, and style. We are a platform for inspiring change."